Founded in 1835, Maison Delas underwent a comprehensive renovation in 1996 under the direction of new owners and investments. Believing that the essence of each of their wines comes from the extraordinary geological and climatological diversity in the Rhône Valley, Delas strives to respect the specificity of all of their partner winemakers. The parcels with the best soils are vinified and aged separately to reveal the deeper character of each appellation's wines, contributing to the richness of Delas. When we mention the Rhône Valley, the steep, terraced vineyards scattered with their large galets (large, rounded pebbles) or the Mistral wind blasting down the valley corridor through the myriad of appellations most likely come to mind. However, this imagery is definitely not complete without the distinguished wine producers who have put this region on the map. Among these is Maison Delas Frères, a distinguished wine producer in the Northern Rhône with one of the region’s longest histories. Maison Delas Frères had its beginning in 1835, when Charles Audibert and Philippe Delas bought the wine trading company Maison Junique in Tournon-sur-Rhône, which they promptly renamed to reflect their own family names. Later, Philippe Delas had two sons, Henri and Florentin, who then married the two daughters of their father’s partner. The brothers took over the company in 1924, and changed the name to Delas Frères, still in use today. Once in charge, they expanded their Hermitage vineyards and purchased one in Châteauneuf-du-Pape. It wasn’t until the post-war period that their wines made it to international markets throughout continental Europe and the USA. By the time Michel Delas from the family’s third generation took over in 1960, the company had established itself as one of the top producers of Rhône wines. By then, they had also acquired properties in the northern Rhône, including in Côte-Rôtie, Condrieu, Hermitage, Cornas, and also in the south in Châteauneuf-du-Pape. To continue its growth, Delas Frères merged with its commercial export partner, Champagne Deutz, in 1977 to gain access to the financial resources and expertise of the latter. This merger was the start of a new era for the company, which became more evident in 1993, when they joined another Champagne producer, Louis Roederer. During the mid-1990’s, major renovations began on the vat-house and cellars at the Saint-Jean-Muzols production facilities. The wines underwent review and were reworked through improvements to the vineyards or winemaking techniques. As quality continued to improve through the 2000’s, more vineyards were purchased in Chassis in Crozes-Hermitage and this brought the estate’s total area under vine to 30 hectares. The company also launched a new strategy to build their image as vineyard owners with the release of ‘Domaine des Grands Chemins’ in 2006. They then spotlighted their efforts on producing single-parcel wines from Hermitage AOC and Saint-Joseph AOC, in order to emphasize the diversity and uniqueness of their AOCs. At the heart of the wines from Maison Delas Frères is the terroir in which their vines are rooted. In fact, the company’s motto is “Placing Man and Wine at the heart of Terroir.” In trying to understand how the region’s unique characteristics affect the estate’s wines, it is important to note the differences between climatic conditions in the Northern and Southern Rhône. Temperatures in the north – where Delas Frères Côte-Rôtie vineyards are located - are much cooler, so the growing season is shorter. However, the vineyards around Hermitage enjoy a slightly warmer climate, since they are further south. The Rhône River provides natural moisture for the vines, contributing to the unique microclimates found on the Maison Delas Frères properties. Although the Northern Rhône tends to get more rain than the south, this generally does not present a problem for the Delas Frères vineyards, since the cool Mistral wind usually follows these rains, blowing from the north and helping to keep the vines dry and preventing mildew. This keeps the vineyards healthy and the wines untainted. In the northern vineyards of Delas Frères in the Côte-Rôtie appellation, and in the southern parcels of Hermitage, we can find granite and schist soils on steeply sloped vineyards. The topsoil here is prone to erosion, so it’s quite common to see vineyards on terraces, which helps reduce erosion. The topsoil is quite powdery, due to decomposed mica, which is a shiny, flaky type of rock that can easily be broken into smaller pieces. The locals even have their own name for this mica, ‘arzelle’. Further south, in the Delas Frères properties of Saint-Joseph and Crozes-Hermitage, the soils become much heavier because of a higher proportion of clay contained within them. Significant investment into the facilities of Maison Delas Frères in the 1970s led to a revival of the estate’s wines and a notable improvement of quality. The grapes are hand-harvested, de-stemmed and then ready for fermentation. In vinifying the red wines, the cellar team use 85 hL open-topped concrete tanks, which are much smaller than their previous stainless steel vats. The smaller-sized vats allow them to separate the grapes according to the specific terroir of each parcel, and to maintain stricter temperature control during fermentation. Before fermentation, they go through a cold maceration period for about 2-3 days at temperatures between 28°C to 30°C. Once the juice and skins are in the vat, daily punching down and pumping over takes place over a period of about 20 days. After devatting, malolactic fermentation takes place in 228L Burgundy oak barrels. The wine is then matured for 14 to 16 months, half in new barrels and the rest in one-year-old barrels before being bottled. The technical team rely on modern innovation in oxygen management throughout the winemaking process, from fermentation to bottling. In the case of the estate’s white wines, the juice is pressed à la champenoise, whereby the free-run wine and press wine are separated from each other. After a light racking, fermentation takes place in either new barrels or ones that are 1-2 years old. To retain the freshness in their white wines, malolactic fermentation is at times only carried out partially. The fermentation process lasts between 9 to 12 months on lees and with regular lees stirring. The wine is then blended two months before going into the bottles, and racked into tanks so to balance them before bottling. The Maison Delas Frères estate consists of 5 main domains, each used to produce its own wine. 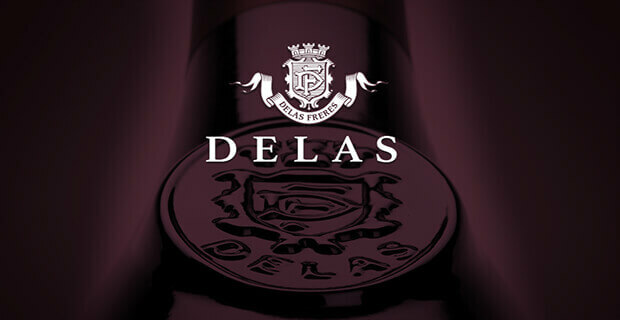 Delas Frères has 30 hectares of vineyards in total, spread across different appellations. Ten hectares are situated in the Hermitage AOC, 2 in the Saint-Joseph AOC and the remaining 18 in Crozes-Hermitage. 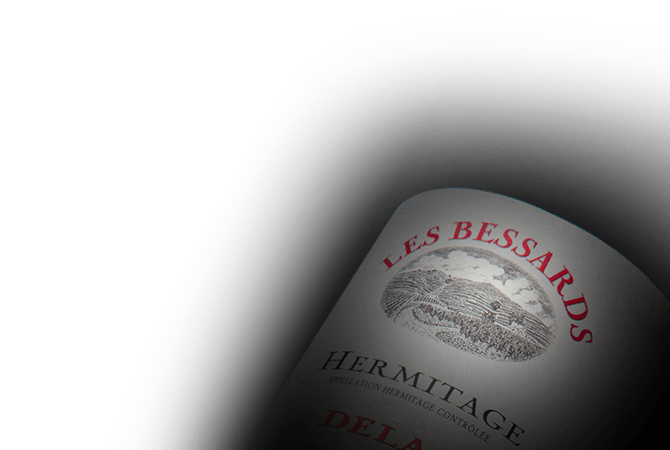 In the Hermitage AOC we find the 8-hectare flagship property Les Bessards, producing a Syrah-dominant red wine from a single vineyard planted on a steep hillside. In Côte-Rôtie, the La Landonne property produces a Syrah wine in soils of light schist and gneiss over a granite bedrock. The 1.68-hectare Clos Boucher property in Condrieu produces a single-varietal Viognier wine on granite slopes with southern exposure. Further south in Saint-Joseph, we find the Sainte-Epine property, producing both a red Syrah and a white Viognier wine from south-facing vineyards planted in light schist and gneiss on granite. And finally, Les Clos is the Delas Frères’ Crozes-Hermitage property on the left bank of the Rhône. Here, the vines of Syrah grow on fluvial-glacial alluviums (a combination of river and glacial sediments) on the Les Chassis plain. Maison Delas Frères maintains partnerships with several wine growers in both the Northern and Southern Rhône, allowing them to produce many more types of wine.